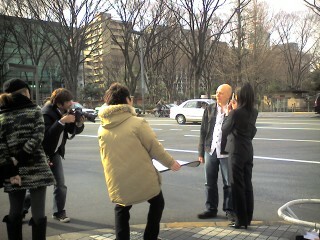 Magazine shoot for Softbank magazine. Next entry: Happy Birthday Mum!! What a hunk! When does this issue hit the newsstands? I hardly have any! Maybe 3 yards at most. I buy to make pnseerts for other people and then I use most of it up. I did make an advent wall hanging for my own use last year, and I would love to make a Christmas quilt for my bed someday!